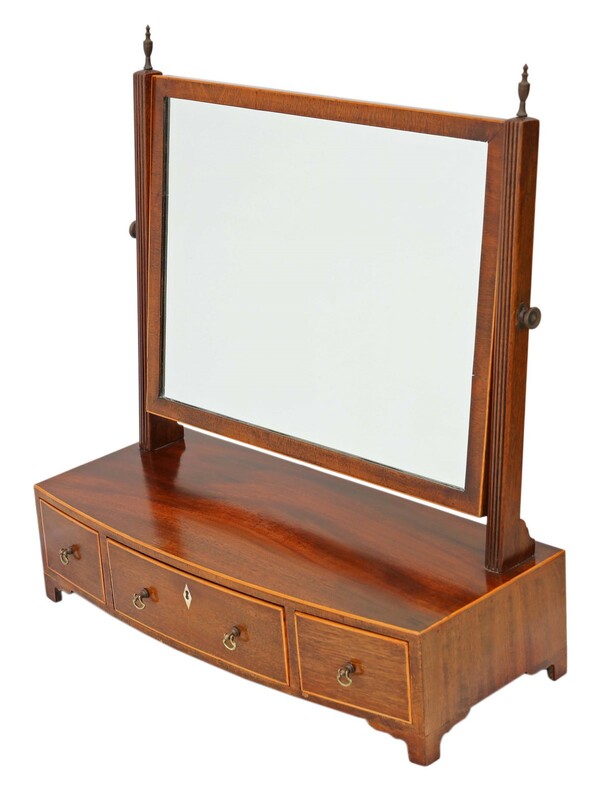 Antique C1810 Georgian / Regency line inlaid mahogany swing dressing table or toilet mirror. 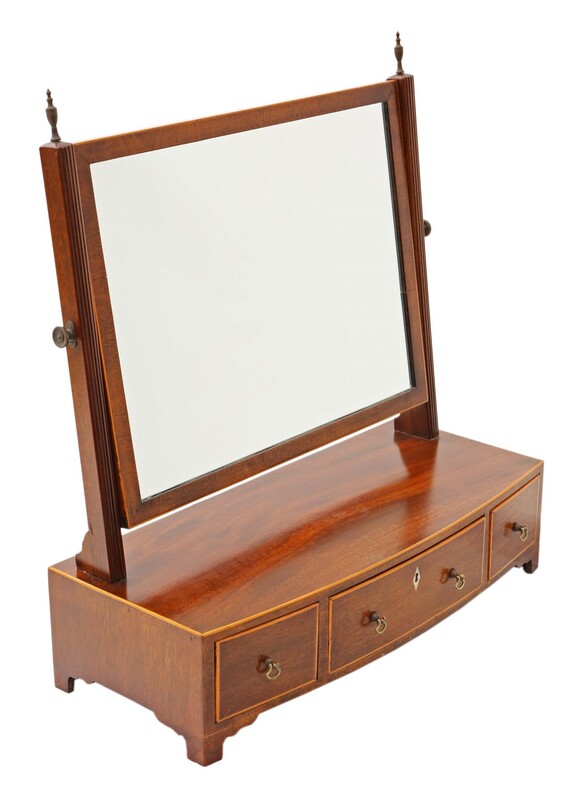 This is a lovely mirror, that is full of age and charm, with great proportions. 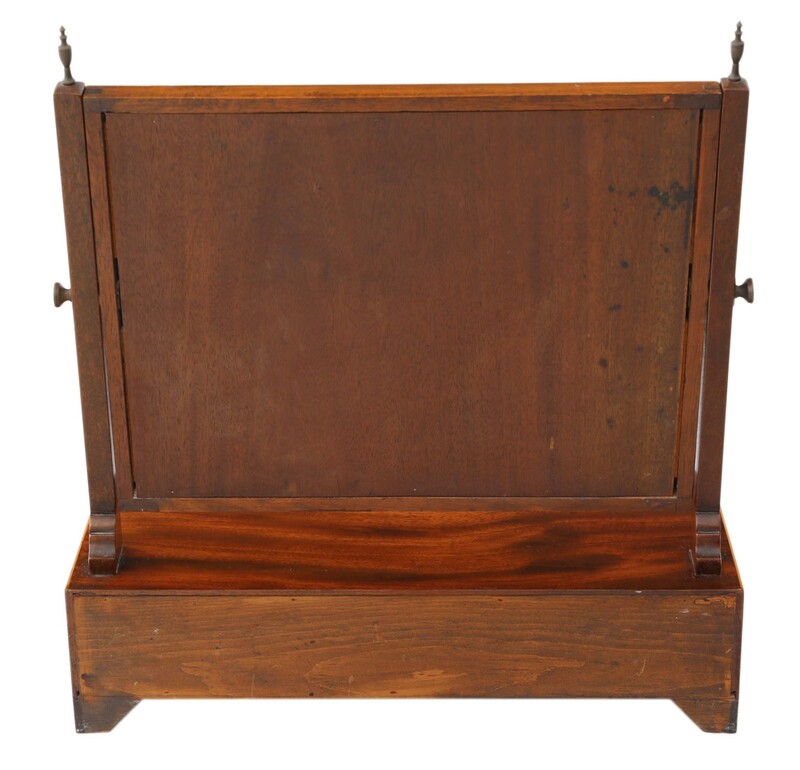 A rare find, that would look amazing in the right location. Recently restored to a high standard. 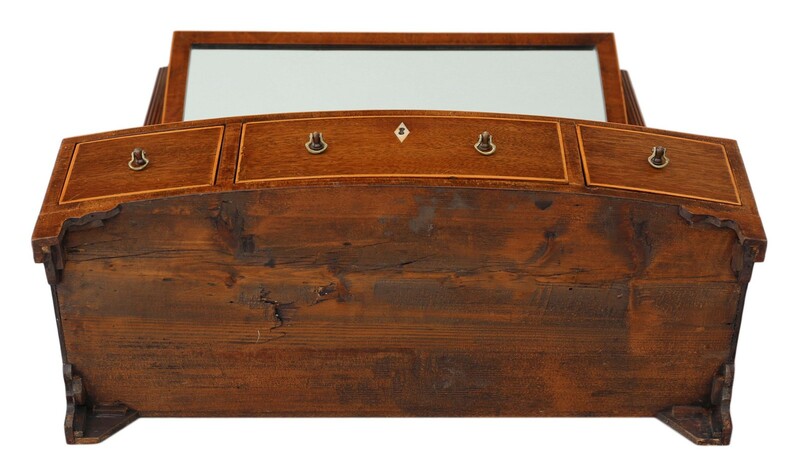 The oak lined drawers slide freely and the mirrored glass is in good condition (unsure whether original). The swing mirror holds it's position well. No woodworm. 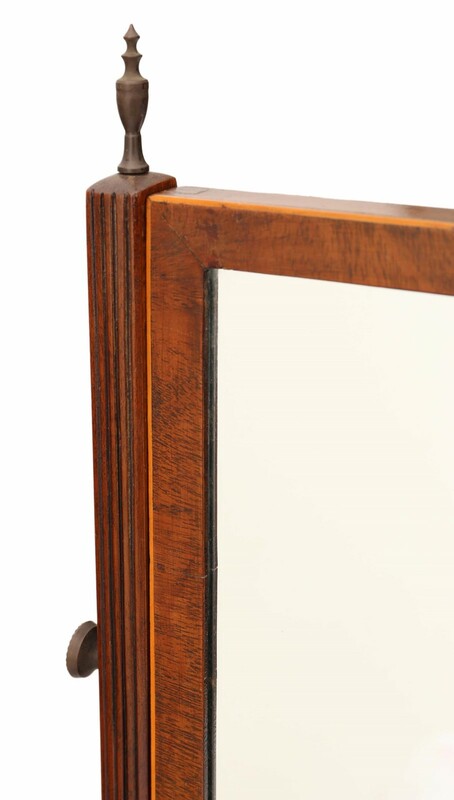 Overall maximum dimensions: 50cmW x 22cmD x 54cmH (38cmW x 29cmH mirrored glass). 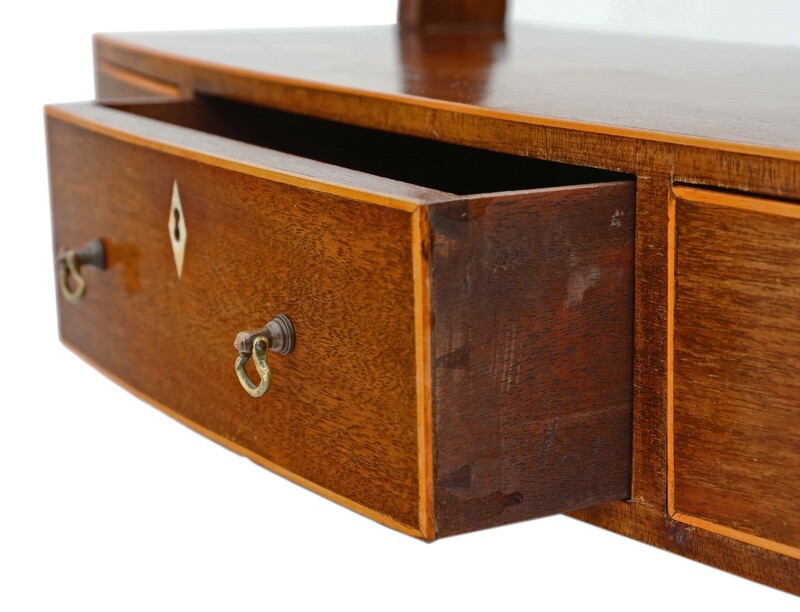 Historic knocks, marks, scratches, wear, imperfections, repairs and alterations, as is always the way and to be expected with genuine antique furniture. No key and the lock is untested.